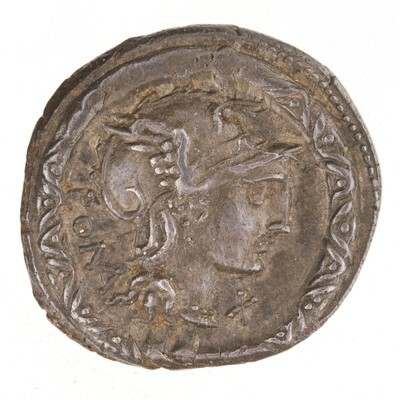 Obverse: ROMA X - Helmeted head of Roma, right. Border of dots. Torc as border. 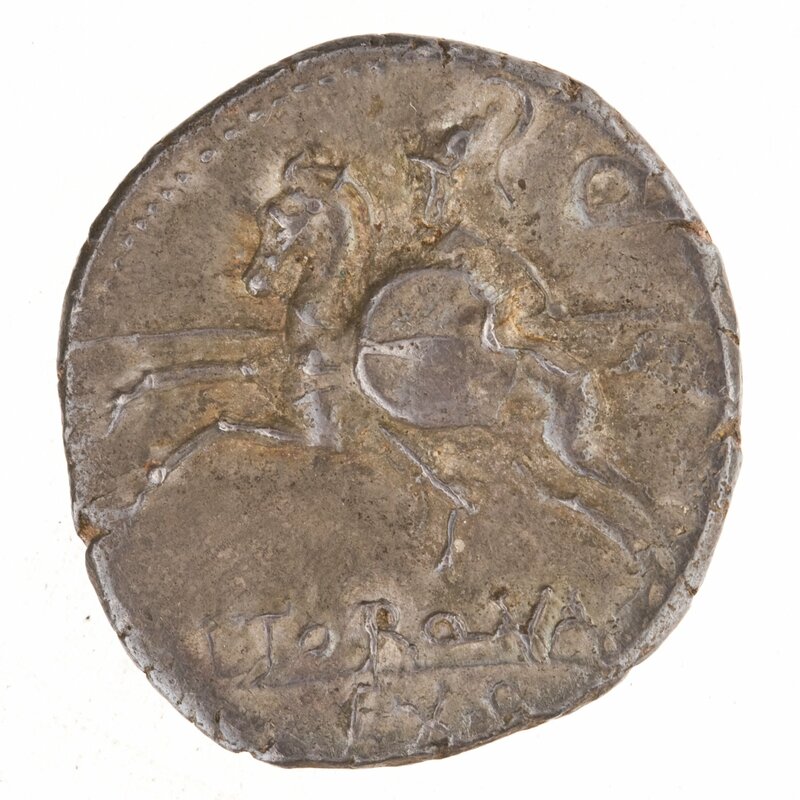 Reverse: L·TORQVA Q - Horseman charging left . Border of dots.